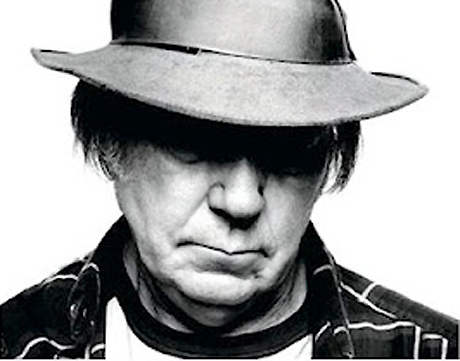 After funding his Pono music service through Kickstarter, Neil Young is now looking to crowd-sourcing as a means to help save the rainforest via some new environmentally conscious technology. As Rolling Stone points out, Young is throwing his support behind Rainforest Connection, a company aiming to recycle smartphones, retrofit them with solar power energy panels and place them in trees as detection systems for illegal logging in the rainforest. According to an instructional video, which you can see down below, the idea is that once a chainsaw is started up, the phones will detect the sound and alert "local partners who can intervene and actually halt the logging on the spot." The creators added of their breakthrough, "Our system provides the world's first real-time logging/poaching detection system. We can pinpoint deforestation activity the moment it begins, while simultaneously streaming the data openly and immediately to anyone around the world." "[This] is a technology that's a connection between the rainforest and you," Young said in a statement. "This technology enables the forest to talk to the world. When the forest is threatened, the forest can speak and you can hear it." The creators added of Young's participation in the campaign, which surpassed its goal of $100,000 by raising over $143,000, makes "perfect sense," considering he's long had a hand in raising environmental awareness, among other causes. "Throughout his life, he has always been a passionate crusader for indigenous rights, and in recent years, has worked tirelessly in combating climate change. These are both issues that we directly address with the Rainforest Connection technology." In the past, Young began an electric car conversion program, has raised funds to help the Athabasca Chipewyan First Nations protect their land against oil sands development, and slammed the Canadian government for helping turn Fort McMurray into a "wasteland."